I'm in love with this Woodland Textured Embossing Folder! I can see so many uses for it! All seasons!!! Here I tried to make it look like white birch trees-like the ones in my yard! With snow falling! Although that part nearly killed me! lol! Anyway, I love how the trees came out here! I really wanted to feature some of the fun paper here. The large gift is from the amazing Holidays Fancy Foil Designer Vellum. It's so cool!!! The gold is simply our Gold Foil Card Stock. 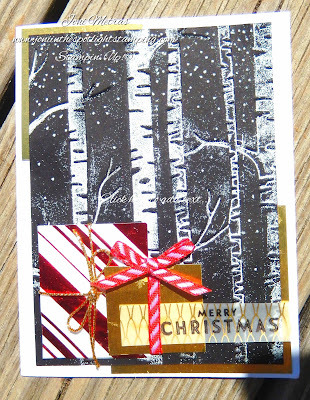 But the sentiment is also stamped on a vellum-Winter Wonderland Designer Vellum Stack. It's a sweet little 6x6 stack with some beautiful golds & black in it! Very versatile! pack-Real Red & Garden Green. And if you look very closely, you can see the cool Gold Cording Trim on the red package! So now go visit Megan's blog & enjoy her creation! She's new to our hop so we welcome her warmly! I bet she'd love to hear a comment or two. Just click on the link below or on her name. We also welcome Anna & Diane! Don't miss their first posts on the hop!!! 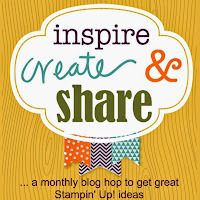 Then keep going & visit all the other talented ladies on this blog until you get back to this one! Enjoy! That embossing folder is one of my favorites too! I've been using it a ton already! I will have to try this!!!!! Cool card! I love the look of your trees! LOVE the trees and the pop of color with the papers! Cool card Joni...love the black and white look with the folder....how did you do that? 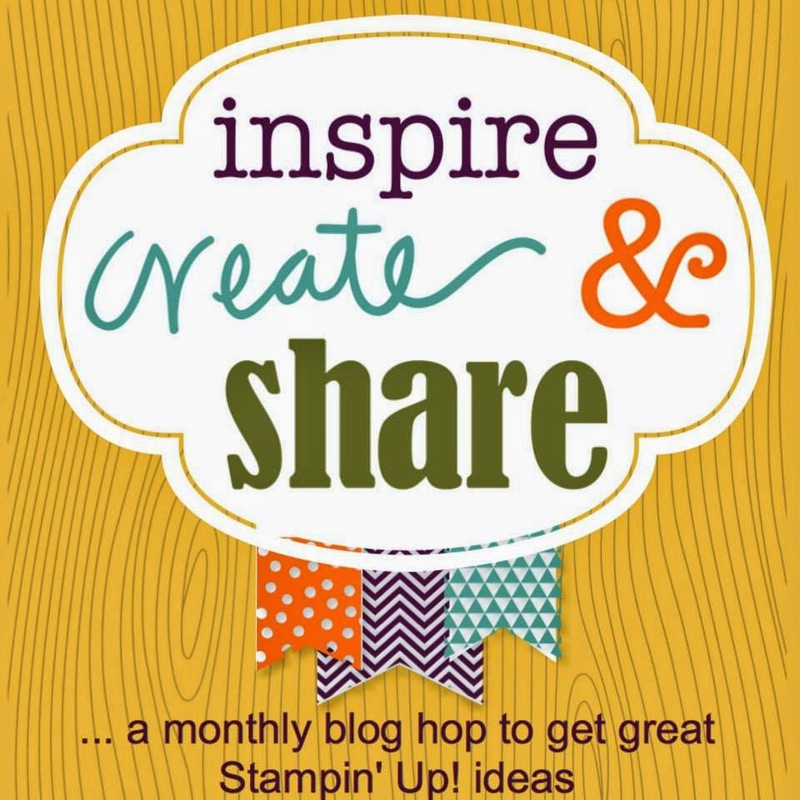 Thanks for joining our hop this month...we are so blessed to have your talents shared with us each month! Great card and I need to get that embossing folder!! Very pretty, Girlfriend! Love the trees, would love to see a video about how you did that!! Love the embossing folder. Thanks for the Hop! 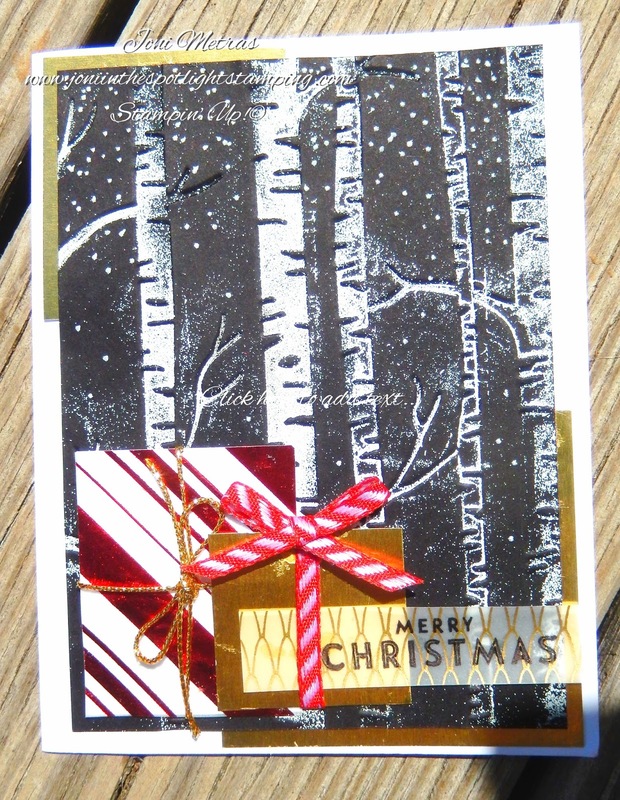 Beautiful card, love the white trees. Cool card! Love the use of the foil for the presents! Cute card! I really like the presents!